Waiting for a plane in Paris…. My journey to the Northwest Passage had a few preliminary steps required to actually reach the vessel on which we would make this expedition. Step 1 was to fly to Paris where we would connect with the charter flight that would take us to Kangerlussuak, Greenland, where our ship would be docked. This charter would be the sole opportunity to get there. To ensure we did not miss the connection, we scheduled our flight from Washington to arrive in Paris 3 days before the charter’s departure date. Luckily, the first step was uneventful and so we had some extra time to explore one of our favorite cities. Friends who are spending a month here this summer invited us to join them on a tour of street art in the 13th Arrondissement. Perfect! We knew next to nothing about street art and even less about the 13th Arrondissement. For map buffs, our starting point was 29 Rue de la Butte aux Cailles. After a pleasant lunch at Chez Nenesse (we had a lengthy chat with Clement Boyer, who bought the place about a year ago), we joined our guide Jean Christoph who was being interviewed by French television (i-Tele). Apparently our group would be followed for a feature show on less well known tourist attractions. The above image has been spared by municipal cleaners who have been instructed by local authorities to paint around certain works. But other graffiti-ists have left “tags,” one obnoxiously (the X-mark on the subject’s face) and one as a humorous response (the smiley face to the right. First, we learned some terminology (apologies to Jean and others who know what they are talking about—I did not take notes). Tagging, graffiti, and street art are different components of painting things on public spaces which is almost always illegal. Tagging can be defined as a basic form of graffiti where the writer would sign his name or signature with the usage of spray paint. While tagging is more of a representation of self, graffiti or street art is a painting or other medium that can be seen as an artistic expression (or at least an attempt at such), a graphic design, or socio-political commentary. The stenciled text is an example of graffiti as political commentary, this one in reaction to the recent terrorist events in France. Since its origins in the 1980s and earlier, street art has become increasingly accepted in many places, especially in locations such as the 13th arrondissement of Paris. A number of street artists have become internationally known, such as American Shepard Fairey who is best known for his iconic “Hope” graphic image of Barrack Obama. His story is summarized by Wikipedia. There is much more, but I have a plane to catch. This may be my last post for a month, but who knows? 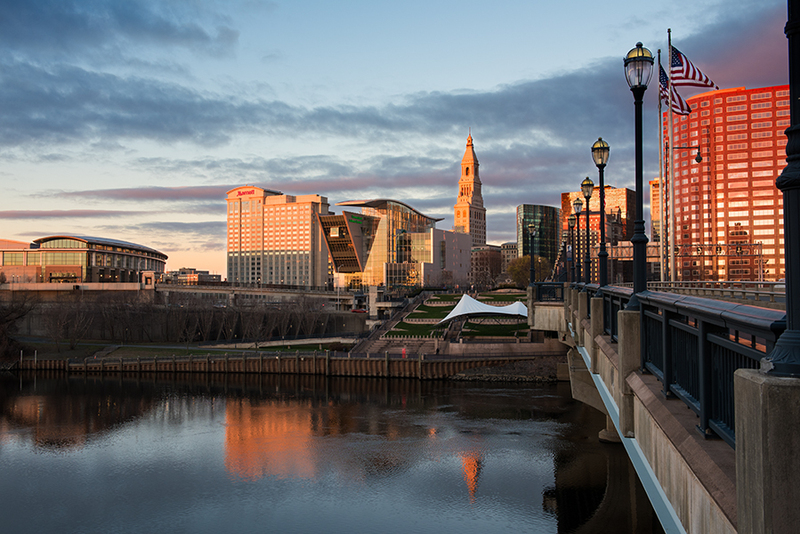 In the meantime…..
Tomorrow’s meeting wasn’t going to start until 9:30 AM and the hotel was a 2-minute walk from the Connecticut River. 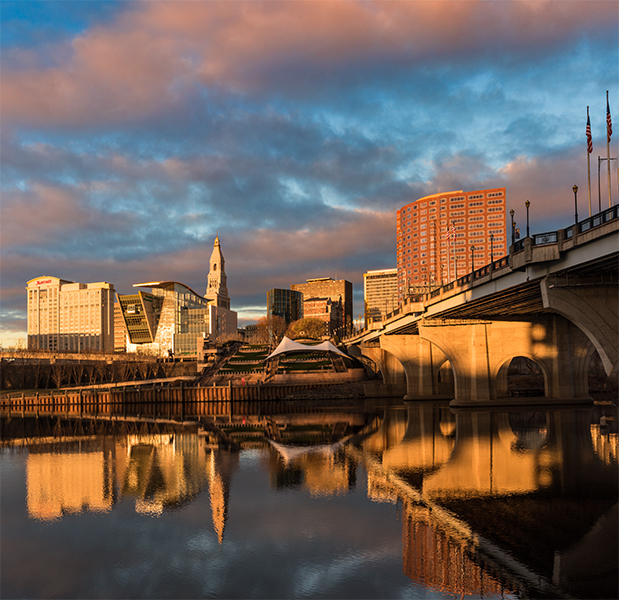 A quick check of The Photographer’s Ephemeris app revealed there would be an opportunity for a sunrise illumination (at 7:05 AM) of the Hartford skyline across the river. OK, set the alarm for 6:15 AM. Arriving at the river’s edge the next mornioing about 20 minutes before sunrise, I had a few minutes to check things out and noticed a stairway leading up to Founders Bridge. At the top of the stairs,there was a magnificent pedestrian walkway, wide enough for a car and way better than anything we have in Washington. And it turned out this was no ordinary promenade. It was part of the Lincoln Sculpture Walk that follows a course through two riverside parks, one on each side of the river. 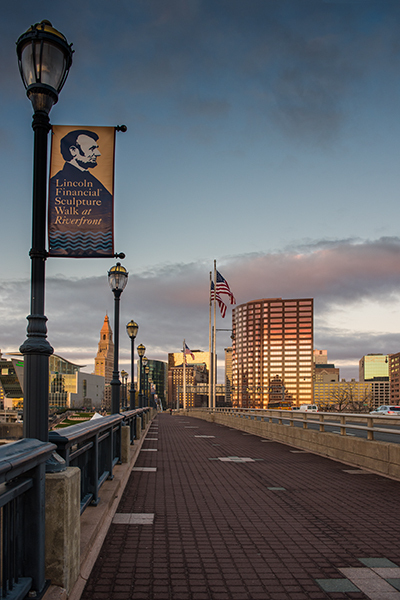 Made possible by a $500,000 donation from the Lincoln Financial Group, a local firm, it features 15 permanent sculptures dedicated to the life and times of Abraham Lincoln. Those who know my photography know that the Lincoln Memorial is one of my favorite subjects. This sculpture, “Emancipation,” was fortuitously (for me) placed right a few steps from the stairway landing. It is one of two works in the Sculpture Walk by Preston Jackson, a prominent African American artist from the Art Institute of Chicago. 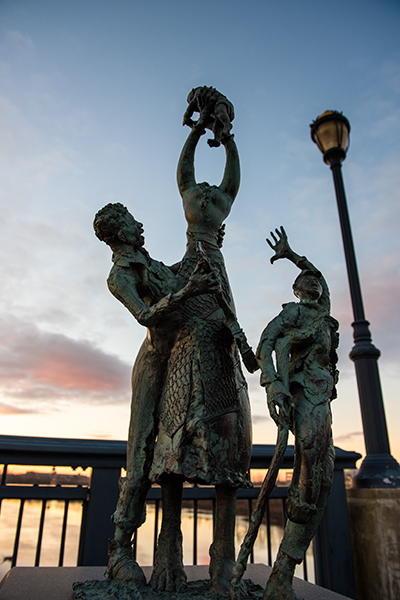 It depicts a female slave carrying her infant and a few possessions toward freedom. The soft illumination of the twilight minutes before the sunrise seemed to underscore the power of the work. As the sun edged above the horizon, the colors began to illuminate the city’s skyline. The image below was captured one minute after sunrise. But I could see that there were might be more potential down below along the river’s edge and I retreated down the stairway and found a good spot to wait. My luck continued as a series of clouds continued moving in from the west and the light breeze began to subside. And sure enough, about 15 minutes later, the golden light reached its peak. As I walked back to the hotel, it seemed that going out for a morning walk was a lot better than sleeping in. Every year in the fall, the artists of Great Falls, Virginia hold an Open Studio weekend, inviting the public into their studios to learn about their art, their techniques, and why they are so dedicated to the creation of visual art. This year, more than 50 members of Great Falls Studios are participating in this event which will be held this year on 17-19 October from 10 AM to 5 PM each day. 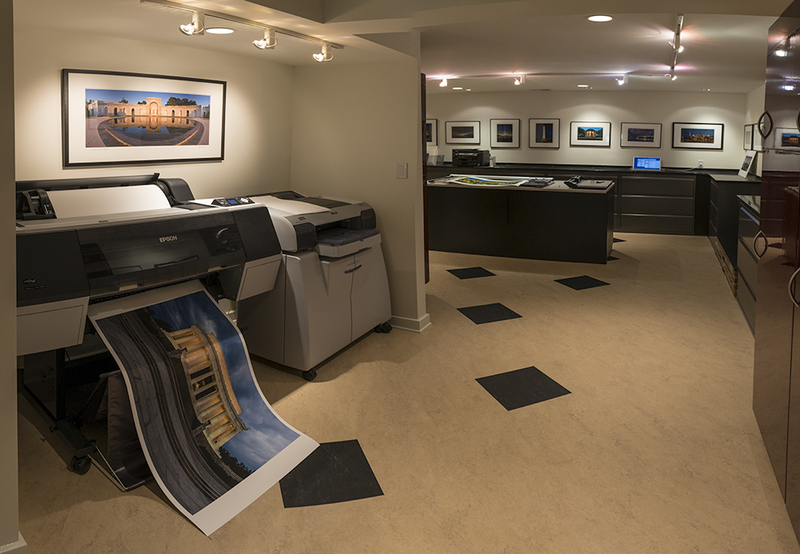 My studio (see images below) will be one of those open and I hope followers of my blog who live in the Washington, DC area will be able to drop by. 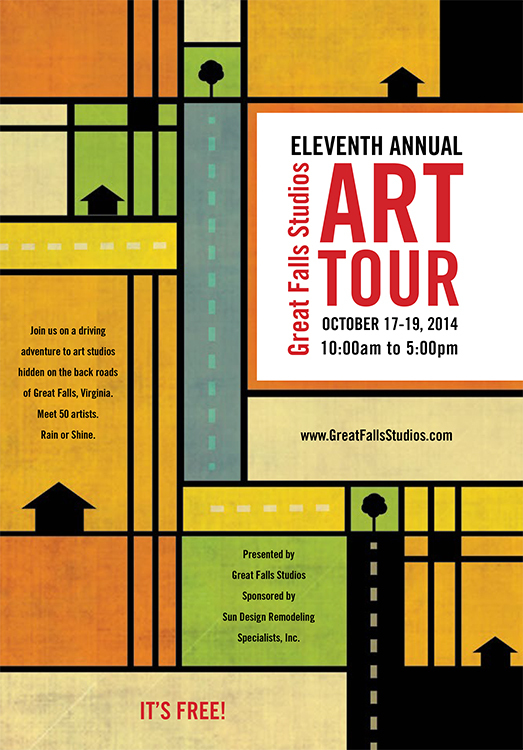 But there are 49 other artists as well and information about the tour and each of the participants can be found at the 2014 Great Falls Studio Tour website. 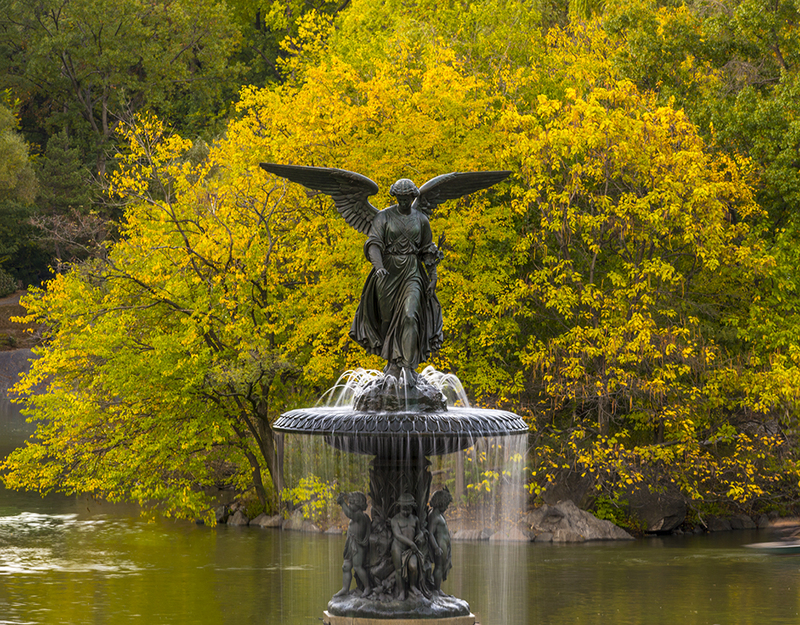 Information is provided about each of the participants so you can design your own itinerary and see works of painters, potters, photographers, jewelers, sculptors, fiber artists, and other media depending on your interests. The site has a page with links to maps that can be downloaded. Or you can start at the Studio Tour Headquarters in the Great Falls Library and see actual samples of work from each of our participants, ask questions from our representative who will be there, and pick up a map that will guide you through the roads and byways of Great Falls to the studio locations. The library, normally closed on Sundays, has graciously agreed to be open on October 19th for this event.